Not only do soft drinks offer no nutrition, they also contain harmful chemicals. Their high sugar content, often high-fructose corn syrup, can cause diabetes and affect the heart and liver. Preservatives like phosphoric acid can cause bone loss and kidney disease and citric acid can cause severe dental erosion. The caramel colour in cola and the chemicals in the containers are also linked to cancer. The summer season has hit most of the parts of our country, it is challenging to keep yourself fit & healthy during summers. Both varieties of food healthy & unhealthy food are available during summers to help us fight the heat waves. On one hand varieties of healthy vegetables(cucumber,celery,tomatoes etc.) & fruits(watermelon,avocado,strawberries etc.) are available that will keep us hydrated during summers, on the other hand, unhealthy food like ice cream, cold drinks, sweet drinks etc. are also available, this unhealthy food may give us relief from thirst & heat for a while but they leave a bad impact on our body for a long time. A glass of cold water can be less attractive but is much healthier and better choice over cold drinks in terms of survival. It is always better to prevent than to cure. 1. Caffeine, Sugar and Aspartame: These products are invariably present within the sweetened soft drinks. Coca-Cola and Pepsi have been under lawsuits in some of the developed countries against using Aspartame which causes several diseases. Children should be strictly restricted from consuming products with Aspartame. Furthermore, caffeine and sugar are very addictive leading to another set of diseases like diabetes and a life-long habit of inducing caffeine in the body. Important – Soft drinks do not contain anything which can help your body and mind. 2) Kidney Failures: The sweet sugar is definitely not the reason for a failing kidney but the artificial sweeteners are. Hence consuming Diet versions of Coca-Cola or Pepsi have proved to produce more impairment than the sweet versions. The important-drinking soft drink is nothing but slowly moving towards from the good health to bad health and slow death. 3) Metabolism Level Decreases: A glass of warm water can speed up your metabolic rate but may taste awful after a workout session. A can of Coke can surely be tasty but it really decreases the metabolism and helps in destroying the fat burning enzymes in no time. Thus a can of either Diet Coke or simple Coca-Cola after a rigorous workout or busy day is strictly not advisable. Important- If you consume cold drink on regular basis then you are at high risk of putting on weight. 4) Obesity and Diabetes: Obesity was never a major problem when Coca-Cola or similar products were not introduced. But with an advent of these products, a major portion of the population is turning obese which includes children and teenagers. Obesity is the root of diseases that affect heart, lungs, and kidney. Researchers have also been proving that obesity may be a cause to trigger cancer cells. Similarly, patients with diabetes must never touch beverages like Coke or Pepsi since it increases the level of sugar in the blood by twofold. Non-diabetic persons should avoid these drinks in order to keep diabetes away. 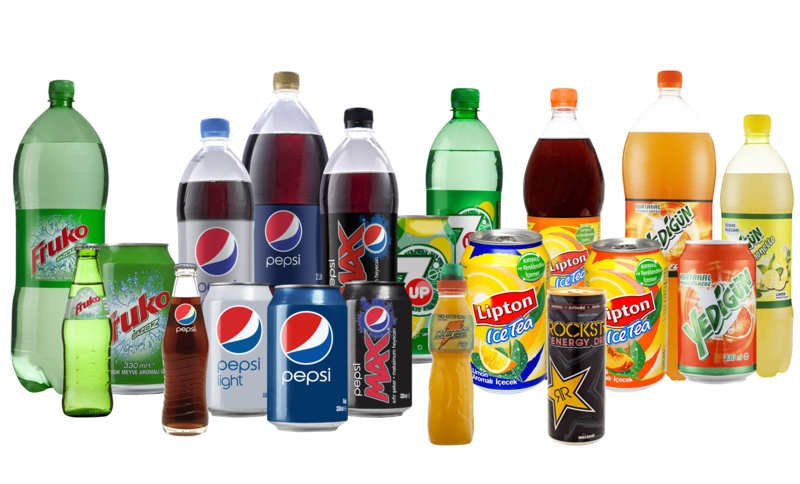 Important – Soft drinks will make you fat and you will have to face the problem of Obesity and Weight Gain.Soft drinks contain sugar in large quantity which damages the pancreas which gives you a gift of Diabetes. Important- Drinking soft drinks increases the risk of weak bones and osteoporosis. 7) Kidney/Liver problem: Soft drink increases the risk of Kidney failure. It has been found that drinking large quantities of soft drinks causes and gifts us with the problem of Kidney Stone.soft drinks puts you at increased risk for liver cirrhosis similar to what chronic alcoholics have. Important- Cold drinks are full of empty calories & no nutritional values.So do not find any excuse to drink cold drinks. 8) If you are drinking diet soft drink then also it has a different type of side effects on our body. Diet soda contains an artificial sweetener known as aspartame. It is used because it’s about 200 times sweeter than table sugar. It does enhance the taste of the drink but it also causes numerous adverse side-effects. Common complaints include a migraine, memory loss, emotional disorders, and blurred vision, ringing in the ears, heart palpitations and shortness of breath. Important- So Diet cold drink is a marketing gimmick used by the cold drink manufacturers to confuse us both diet & non-diet cold drinks are equally harmful to our health. 9) Harmful preservatives: Preservatives are added to soft drinks to prevent spoilage and to prolong the shelf life of soft drink. Sodium benzoate (a.k.a. benzoic acid) is present in most soft drinks. This chemical is known to cause asthma, rashes and hyperactivity. Sulphur dioxide is also used in some soft drinks to preserve the colour of say, carbonated lemon juice from turning brown. This chemical is used for industrial bleaching. It is so toxic that repeated exposures to it can cause fainting spells, skin eruptions, swelling, tightening of the chest, shock, coma and even death. Important- Any product with long shelf life contains preservatives & all these preservatives are extremely harmful to our health & body. 10) Caffeine – Cold drinks also contain caffeine. Some of the side effects of energy drinks due to caffeine are Insomnia, High Blood Pressure, Osteoporosis, Infertility, Heart Diseases, and Ulcers. As caffeine is stacked up in the body after each intake, it also shows various side effects and complications during pregnancy. It may also cause miscarriage in pregnant women. Important- Too much of intake of Caffeine may result in lots of health ailment. Conclusion- Whether you consume Cold Drinks in less quantity or more every sip of cold drink is harmful. My advice is for a healthy body Do not consume cold drinks at all.